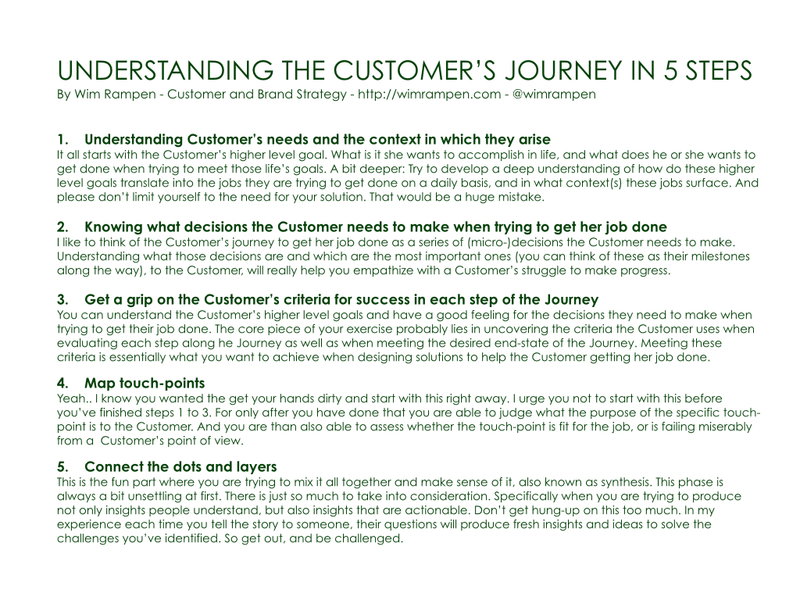 I wrote about 5 things to remember when mapping the Customer’s Journey last week. Here’s my 5-step approach to actually mapping “the thing”. Have questions? Need help? Have a different/better approach? Please let me know in the comments, or reach out to me on Twitter. This entry was posted in Customer Experience and tagged #jtbd, Customer Jobs, Customer Journey, Service Design. Bookmark the permalink.